Almost two million Ford Capris were sold before it went out of production in 1986, 18 years after the first was built. One of the early models was described as “easy to operate but not very jolly”. The horse of the same name certainly fits the first half of that description as he has looked a straightforward ride; travelling well and usually finding plenty when his jockeys want him to accelerate. Jolly? His connections should be after he became the first horse since Nijinsky, in 1970, to win the Irish Derby and William Hill St Leger in the same year. 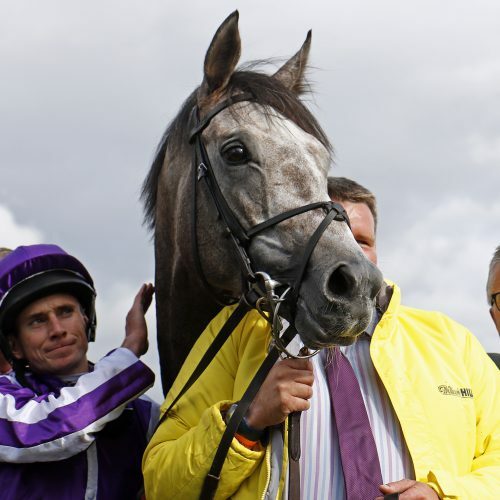 At the Curragh, the grey dug deep to fend off Cracksman and Wings Of Eagles – he had previously finished behind that pair when sixth in the Investec Derby – and at Doncaster he again displayed an excellent attitude to repel the persistent challenges of Crystal Ocean and Stradivarius by half a length. Capri formed part of a five-strong team for Aidan O’Brien in the Qatar Prix de l’Arc de Triomphe next time, but was clearly not at his best and beat only home in the 18-runner field. He won on his return over ten furlongs at Naas in April but then suffered a setback and was off five months before finishing fifth of six runners in the Prix Foy at ParisLongchamp. Capri ran much better when fifth in the Arc next time before dropping back even further in distance and finishing fourth in the QIPCO Champions Stakes at Ascot 13 days later. As a two-year-old, he won the Group 2 Beresford Stakes and was placed in Group 1 company over a mile and a quarter. It is unclear where he will run next but, make no mistake, there is plenty more mileage left in this good little runner.